R&B Authorized Metal Structures Authorized Dealer! 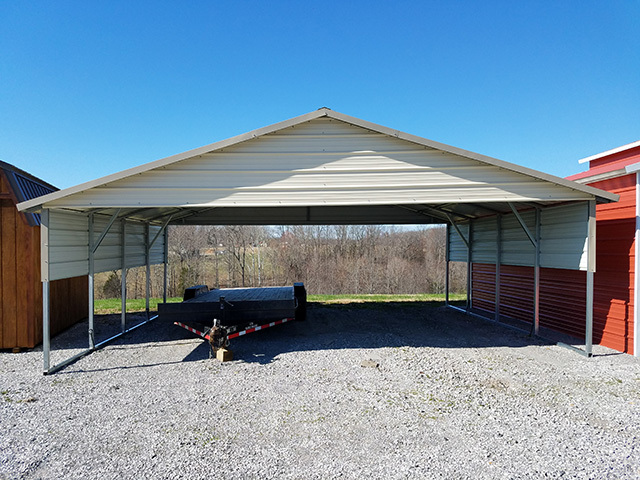 Here at Yoders Dutch Barns we are proud to be an authorized dealer for R&B Metal Structures and offer many carport options. R&B Metal Structures manufactures the highest quality metal in a variety of shapes, sizes and colors. They have many extra options including: windows, insulation, skylights and roll up doors just to name a few. 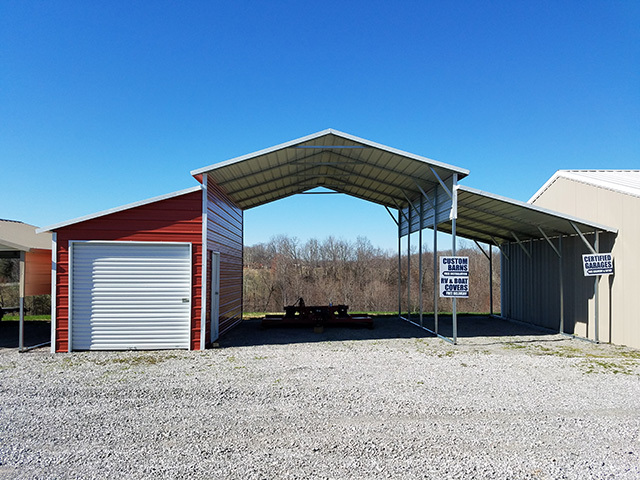 We do keep several carports on our lot, if we don’t have what you are looking for, we will gladly order it for you. Whether you are looking for a small carport for your vehicle or a large one for your camper, we’ve got you covered! See our brochure for a complete list of available structures and options.